OCNCASH is forming lower high & lower low. Stochastic %K @oversold stage, pending BUY call. Immediate resistance @ RM0.335 level. 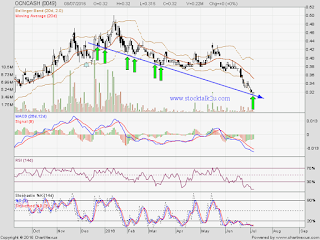 Subsequent resistance @ RM0.355 level. Immediate support @ RM0.315 level. Subsequent support @ RM0.30 level.